Squatting and the extending reach of the criminal law: effective or not? Andrew Arden QC and Annette Cafferkey consider section 144 of the Legal Aid, Sentencing and Punishment of Offenders Act (LASPO) 2012 and the possibility of its extension to commercial premises. The offence of squatting in a residential building is set out in section 144 of LASPO. It came into effect on 1 September 2012. In the early part of this year (14 January 2013), an Early Day Motion was tabled by Mike Weatherley MP for the ambit of the offence to be extended to commercial premises. The new offence has been in place for six months. What has its impact been, if anything? And, in these times of rising homelessness and cuts in housing benefit, is it appropriate to criminalise squatting of empty buildings? A person commits an offence if (a) he or she is in a residential building as a trespasser, having entered as such, (b) he or she knows or ought to know that he or she is a trespasser, and (c) the person is living in the building or intends to live there for any period. The offence is not committed by a person holding over after the end of a lease or licence. ‘Building’ includes any structure or part of a structure (including a temporary or movable structure); a building is residential if, before the person enters, it had been designed or adapted for use as a place to live (s114(3)). homeless people who squat occupy empty, usually disused or abandoned property, not other people’s homes. This material was hardly the basis for the creation of any new, squatting-related offence. The impetus for the new offence was, rather, media-driven – particularly by some parts of the populist press – in 2011. This media coverage, much of it backed by the comments of a very small number of MPs, asserted that squatters were commonly occupying other people’s homes – contrary to the research – and that those who refused to leave someone’s home were not committing a criminal offence, and that home-owners were very often powerless to throw squatters out, which was simply wrong: section 7 of the Criminal Law Act 1977 provides that any person who entered any premises as a trespasser and who refused to leave on being requested to do so either by a displaced occupier or by a protected intending occupier (each as defined, with the effect that all those affected are included), commits a criminal offence. This allowed such squatters to be prosecuted, which meant that they could be arrested and removed by the police. In addition, and in any event, there have for decades been fast-track, summary civil proceedings which could be used to secure eviction and re-possession, typically, within a few days. All of this was ignored by the press, who claimed that homeowners faced weeks of civil proceedings to regain their homes and that trespassers had ‘squatter’s rights’. 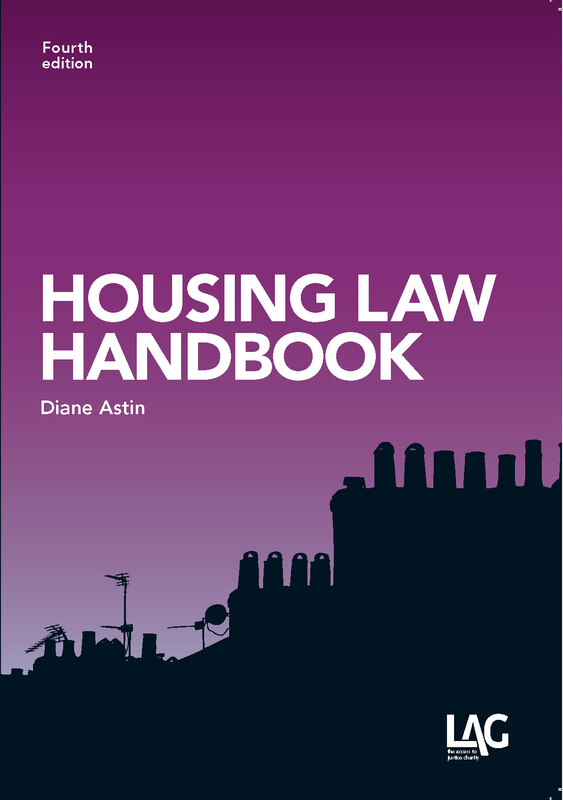 In response, a number of housing practitioners and academics wrote an open letter to the Guardian in September 2011 which set out their concerns about the misleading coverage and its adverse effect on public debate, together with an accurate summary of law as it stood then. That letter concluded that ‘as the proposals would have far reaching consequences for many vulnerable people, there is a need for informed factual discussion rather than a response based on sensationalist misrepresentation’. It is, however, apparent, that fully-informed, factual discussion did not take place before the new squatting offence made it on to the statute books. Thus, the Ministry of Justice consulted on a change to the squatting laws in mid-2011: in the first paragraph of its consultation, Options for dealing with squatting, the Government made clear that it had no real idea of the extent of the problem, noting that ‘there was very little information held centrally about the number of people who squat, their reasons for doing so or the types of buildings that tend to attract squatters’. Nonetheless, they believed it to be a ‘growing problem’. On any view, this was a startling basis for new law. A summary of the 2,217 responses to the consultation was published on 26 October 2011. Of those responses, 2,126 were hostile to the further criminalisation of squatting, albeit that the majority (1,990) had been organised by Squatters’ Action for Secure Homes (SQUASH). Other responses came from an assorted range of people and organisations, eg victims of squatting (10), members of the public concerned about the harm squatting can cause (25), legal professionals and law enforcers (24), charities (13), as well as local government and landlord associations (11). Those in favour of the new offence included individual property owners, a commercial developer, the British Property Federation, the CPS, the Property Litigation Association, Transport for London and The Fire Rescue service. Those against included homelessness charities and advisory services, the responses organised by SQUASH, the Metropolitan Police, the Criminal Bar Association, the Law Society and the Magistrates’ Association. The Law Society stated that the current law was both comprehensive and effective and that the proposals in the consultation were based on misunderstandings by the media of the scale of the problem and the current law) and argued that in the absence of reliable data it could not be demonstrated that a new offence was either necessary or proportionate, a view also taken by the Criminal Bar Association. The Magistrates’ Association said that it ‘was generally reluctant to see new laws being created without proper analysis of why existing powers might not be working’ although they could see the case for a more comprehensive set of provisions to deal with issues associated with squatting (which is not the course that has been followed: the 1977 Act offences remain on the statute book alongside section 144; civil remedies continue to be handled separately, etc.). In response to the question whether those who squat share any protected characteristics (Equality Act 2010, eg age, disability, pregnancy and maternity, race or religion), Crisis noted that there was a ‘significant number of vulnerable homeless people squatting – people who have mental or physical ill health, disabilities, dependency issues and a history of being in care’. 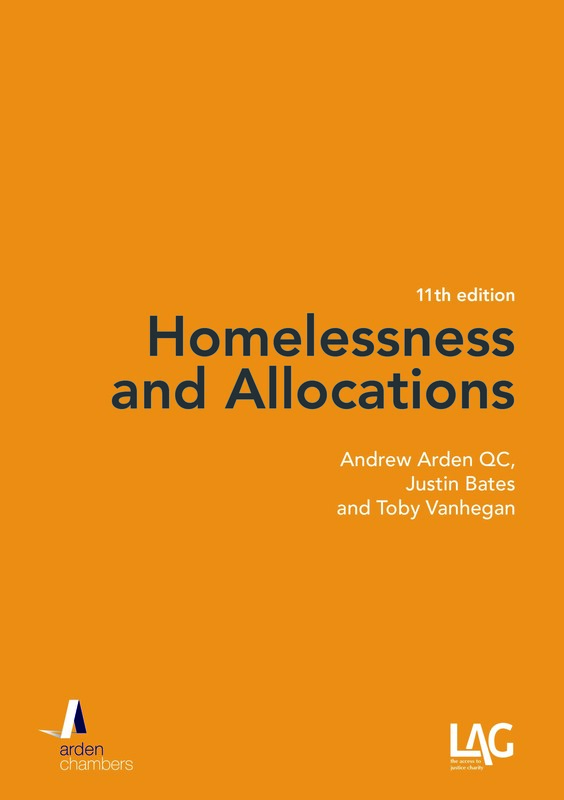 And that ‘whilst homeless people have higher incidences of vulnerabilities and multiple needs than the non-homeless population, homeless squatters were found to be yet more vulnerable – with higher incidences of vulnerabilities that the wider homeless population’. This clear basis for rejecting new laws has at no stage been contradicted by anyone. 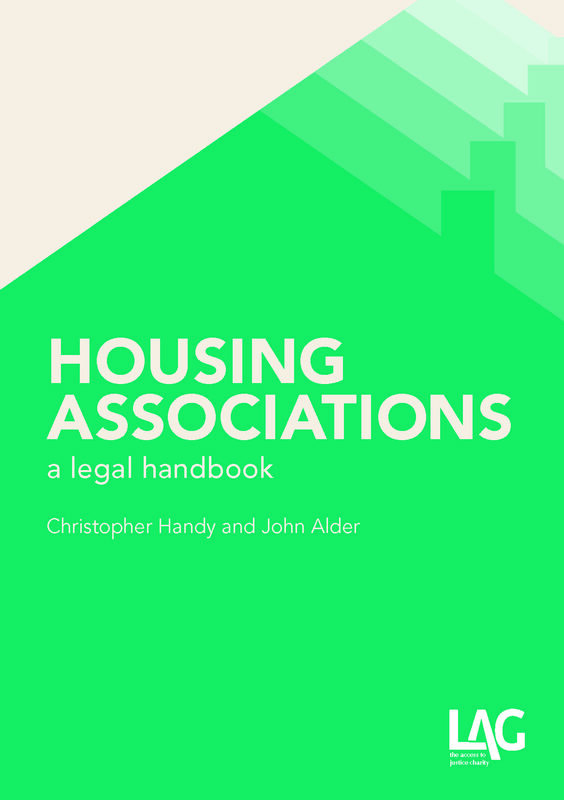 The homelessness charities, including Crisis, Shelter, Homeless Link and the Simon Community, warned more generally that the criminalisation of squatting would impact significantly on the most vulnerable in our society (SQUASH (2011), House of Lords Briefing Paper with respect to Legal Aid Bill Clause 130). Confronting responses which revealed no other consensus of opinion, the Government decided to take a ‘qualitative rather than a quantitative’ approach, which avoided having to give proportionate weight to the responses which opposed the proposal, and, ‘as a first step’, to criminalise squatting in any residential premises, ie to criminalise the act per se, even if not asked to leave (which was already criminal under the 1977 Act, see above). It therefore tabled an amendment to the LASPO bill at its third reading in the Commons on 31 October 2012 (a mere five days after the response to consultation document was published). The late stage at which this was done meant that the proposal was not scrutinised at Committee stage and was only debated in the Commons on the bill’s third reading, a paltry basis for a new criminal offence. The lack of any sound basis for this new offence makes the question whether it has actually made any positive difference all the more pertinent. Establishing the extent to which it has been enforced is, however, no easy task as it appears that many police forces treat the offence as non-notifiable/recordable. Freedom of Information requests made by SQUASH, together with information taken from the media and other squatters’ organisations, show that 108 people were moved or made homeless after incidents involving the police attending at properties to investigate offences under section 144. Of this number, 33 people were arrested, and 10 convicted. It is believed that all of those arrested were occupying empty and vacant spaces – none displaced a resident homeowner (SQUASH (2013), The case against section 144). These figures are low. The squatting population is estimated to number about 20,000. Taking this figure together with the fact that the enforcement of the offence is not routinely recorded by many police forces probably means that the enforcement the figures are conservative. The low figures do, however, suggest that squatting is not quite the problem parts of the press had us believe. Given that both landlords and police are public authorities for Human Rights Act 1998 purposes, that concerted action may raise issues under the Convention: no one who has read the European jurisprudence on eviction from a home – which can include occupation as a squatter – seriously doubts that, once the issue reaches Strasbourg, it will not endorse eviction by public authorities otherwise than by court proceedings, although the domestic courts may take a different view until told otherwise. That aside, this apparently widespread tactic may be another way of explaining the low figures described above and/or may explain why the police are not routinely keeping relevant records. The authors agree with the Magistrates’ Association: there is a case for codification and clarification. Rather than improve practice and procedure in relation to squatting law, however, the Government chose only to create a new offence. What difference has this made in terms of reducing the incidence of squatting? The Government does not know: it did not know how extensive the problem was before it implemented the new offence and it does not know now; it has not asserted – because it cannot assert – that the offence has made the slightest difference. Indeed, as it is apparent that squatting is (unsurprisingly) primarily a homelessness issue, we can confidently assert the opposite, that it will increase as a result of increasing homelessness (see, in particular our recent blog, Challenging the use of B&B, 24 February 2013). Measures to address homelessness are the real antidote to the problem of squatting as a whole (whether or not there really is a sub-set of people who squat homes occupied by or allocated to others), and the only effective antidote. Meanwhile, we are left with the proposal to criminalise the occupation of empty commercial property: if the Government responds to it in the same way as it responded with section 144, neither the absence of any recorded problem nor of any explanation as to why the current civil law is not sufficient (or if insufficient, why it cannot be improved), nor the lack of any material on the basis of which to suggest that section 144 itself has had any real effect (otherwise than when misused to allow social landlords to recover property peremptorily as described above), will stand in its way and yet more unnecessary, confusing and underused legislation will creep onto the statute books and continue a campaign against those who are most in need of help not prosecution. I know the Met Police responded to voiced concerns that officers may mis-identify tenants as squatters if they didnt understand the law by announcing that officers had received training on S144. I recently trained a bunch of police Inspectors and mentioned this and they said that they had received an email and thats it.